In today’s world, it now only takes a few seconds and a small number of poorly chosen pixels to handicap your career ambitions. Whether we believe it or not, we make instant judgments about people and the first image we see, it’s also true for recruiters and others getting their first impressions from what we put online. A study published in the Proceedings of the National Academy of Science supports this, finding that facial characteristics factor strongly into people’s perception of an individual’s character, strengths, weaknesses, and ability to lead in different situations. For these reasons, forming snap judgments from a photo can be a difficult impulse to fight. According to a recent survey by social-media monitor Reppler, 91% of recruiters use social media to screen candidates, and they are not exempt from making these same judgments. Selecting the wrong photo can be damaging to your professional brand and even hinder possible career opportunities. Choose wisely. It’s wise to go with a professional headshot, but this doesn’t mean it has to be boring. Show some uniqueness, so people viewing your photo see someone professional, but also someone with whom they’d want to work. You don’t have to be attractive either, to have an impact: recent research published in Psychological Science, a journal of the Association for Psychological Science, found average, typical faces to be the most trustworthy. Make sure you are front and center, and the focal point of your photo. If you choose a more interesting shot, be aware of distracting backgrounds that may steal the focus from you. Close-ups are your best bet. The profile picture on LinkedIn is rather small. Your head and shoulders should fill the frame ensuring those viewing your profile to get a look at your confident and approachable expression. If your professional headshot is old enough to buy a drink in a bar, it’s time for a new one. You may look great in that old photo of yours, but you don’t want a connection or a recruiter expecting someone very different, should you ever meet one another. Grey tops are in style and distinguished-looking according to Glamour Magazine. Be authentic. Dressing well does matter. Consider if your desired position requires business formal or business casual attire. Also, make sure to schedule a haircut or a spa treatment ahead of your shoot. Because the appearance of health is necessary for the top notch executive positions sought after by most. And, don’t overlook your shoes. Polish those up and buff out scuffs, or invest in a new pair just for interviewing. You’ll get plenty of use from them in your new job. It’s important to maintain a level of professionalism in all aspects of social media if you have a high-level job or are seeking one, resist the urge to post artistic shots, memes, cartoons, pictures of significant others, kids, and pets. Even if you’re not in a full-fledged pouty duck face, it’s very obvious when a photo is self-taken. The stigma of the selfie is that it’s not an acceptable form of photography for any professional undertaking. Selfie shots are typically lower quality because one’s ability to control the light and other factors are limited. Also, It appears lazy, hand someone else the camera, I’m sure you can find someone out there that can take a picture of you even if you have to ask a stranger. Having a reputable personal brand and professional image is as vital as an up-to-date resume, and both should be of equal importance. That’s why it’s paramount to use high-quality photos when you are posting an image of yourself online. 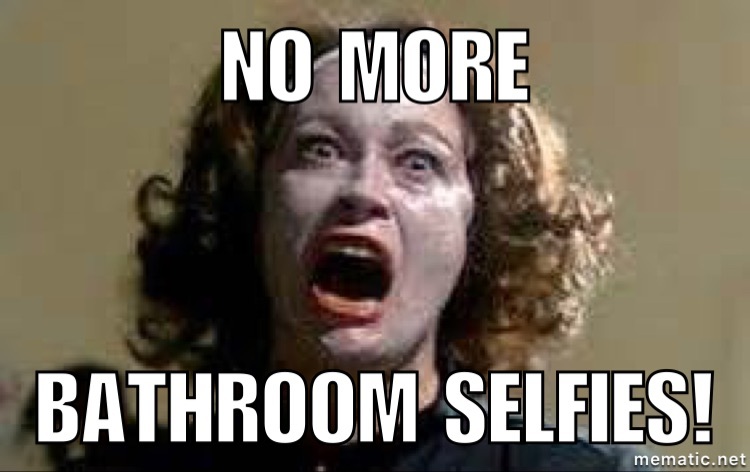 And resist the urge to use your beloved bathroom selfies. Everyone knows at a glance that you are in a bathroom taking your own photo. Don’t do it. Ever. Just as you agonize over the design and details of the resume and professional qualifications, pay as much attention to the composition of your LinkedIn photo. That rather small square tells people so very much about you. *This content was researched from several online articles, compiled, re-worded, wordsmithed, and abbreviated. No sources are provided because content is unique by Dylan Langer and not plagiarized.